I love a good tower defense game. There is something to profoundly addictive about them. I also love when someone takes a proven genre or game type and gives it a new spin. That’s what 11 bit did when they made a tower offense game called Anomaly. 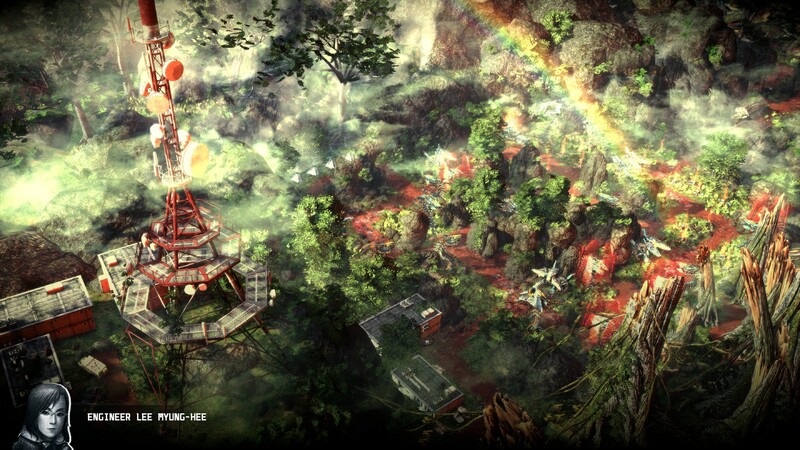 Now there’s Anomaly 2, a game that looks to further experiment in this rich area. Let us analyze their findings. 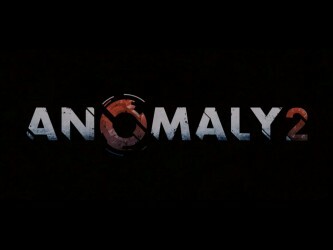 Anomaly 2 looks good, there’s no doubt about it. The gameplay takes you through a small variety of environments, ranging from the icy remnants of modern cities to the sweltering ruins of ancient cultures. 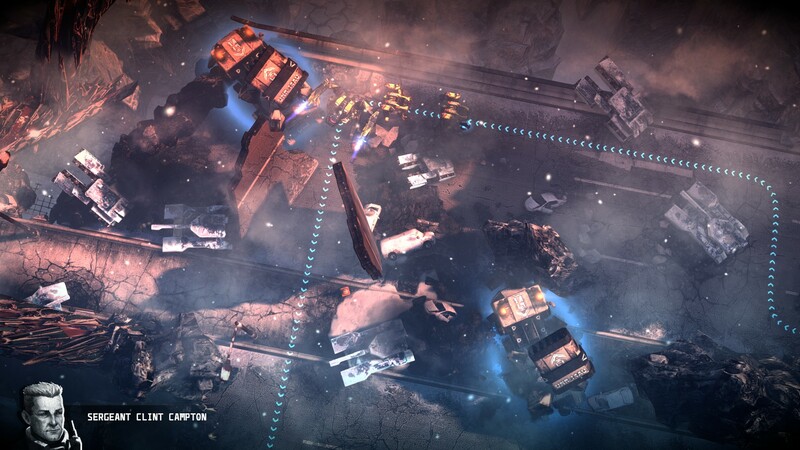 The landscape is detailed and realistic, and the same goes for the convoys you control and the enemies you face. 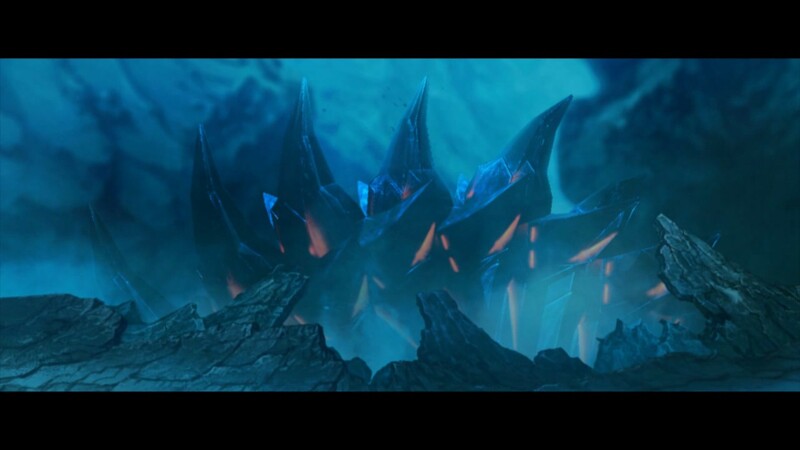 Enemy towers are both mechanical and alien in appearance, with flailing tendrils and angular structures. In order to play the game properly, there is an awful lot of information to keep track of, and the developers did their best to put it exactly where you need it. Each unit has its health and other pertinent information clearly displayed over it. Depending on the difficulty setting and the level, you could conceivably be juggling the health, shield levels, attack modes, and ability charges of half a dozen friendly units, all while keeping an eye on the same info for five or ten enemy towers, AND watching the clock. 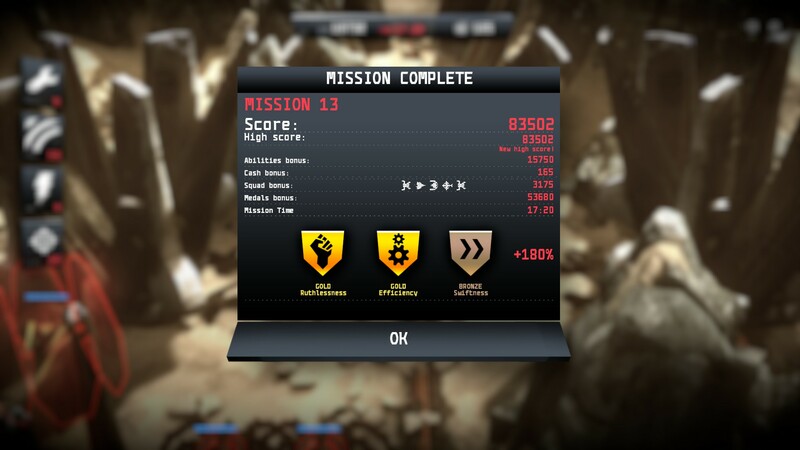 Heap on some explosions and flying ordinance and it can get truly hectic. But that’s half the fun, right? If you’ve never played Anomaly, here’s a refresher. Think of tower defense, but you play as the creeps. You start each level by constructing your squad from an assortment of specialized units, then plot a course on a tactical map and send them into action. You only have direct control of the commander, who cannot directly attack, but is able to deploy area-of-effect abilities to help your units. Different levels throw various different mechanics into the mix, but mostly you are making route decisions, keeping your units healthy, and collecting resources to upgrade them. Anomaly 2 adds a few key mechanics to the mix. For the single player campaign, your units now has two modes, which you can switch to on the fly. For your long-range, hard-hitting “Hammer”, morphing makes it into a shorter ranch “Rocket” unit that can fire in all directions rather than just forward. 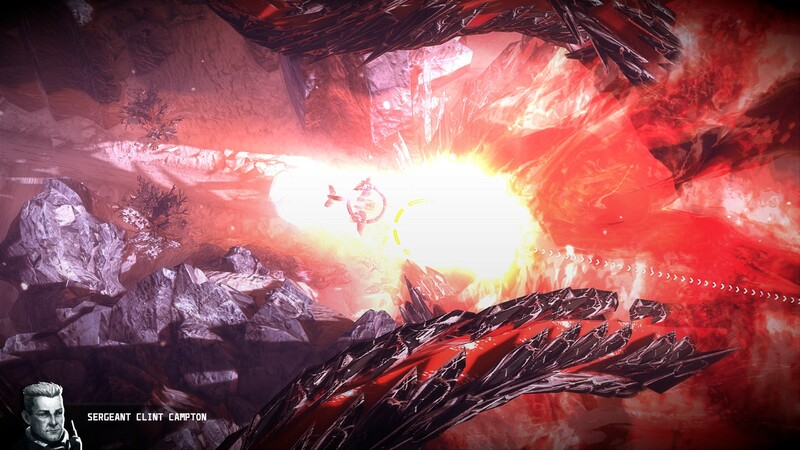 The “Hound” is able to morph from a single-target rapid-fire attacker into a mech that can attack both sides at once. Not only does the morph ability effectively double the types of units in the game, it makes a major strategic difference as well. Do you want the temporary invincibility offered by the stealth unit, or do you want it to manufacture power-ups instead? Further compounding the need for proper strategy is the addition of a few new towers. One such tower is the Charger tower. It doesn’t attack, but it has a shield that absorbs a portion of your attacks. If you attack quickly enough, it converts into a devastating form that will tear your units to pieces. The only way to safely attack it is to keep your firing rate low, which means you need to manage your troop arrangement to keep the rapid-fire units near the back, sell them back, or my personal favorite, keep on interrupting the firing rate by morphing. There’s also a unit with shields that will completely block shots from slow attackers, meaning a rapid-fire unit is now essential. Since the map is seldom kind enough to throw just one type of enemy at you, you’ll be doing a lot of squad management. Fortunately, one of your abilities can direct all of your firepower at a single tower rather than the nearest one, giving you a surgical strike capability. The single player campaign is fun, and keeps throwing minor changes in mechanics at you to keep things interesting, but the real star of the show of Anomaly 2 is the new multiplayer mode. That’s right, you can play versus a friend, one playing tower defense, one playing tower offense. Like the morphing units, this change effectively doubles the size and complexity of the game. We actually had a chance to give this a try back at PAX East, and it was a blast then as it is now. The sound in this game is one of the few stumbling points I encountered. The music is excellent, but the voice acting seemed a bit off to me. I could be nitpicking here, but I could swear that there were times when the voice actors didn’t quite understand what they were saying. “We’re getting busted up here!” seemed like it should have been “We’re getting busted up here.” Also, when you collect the resource that helps upgrade and buy units, you’ll sometimes remark “Carisarum, my precious”, which reads like a Gollum reference, but certainly wasn’t performed like one. Ignoring the performance of the audio and focusing instead on the utility, the game once again shines. There are distinctive sound effects associated with pretty much any key event, like fully charging an ability or hitting a charger with a weapon. There are also audio cues to let you know that you may not have noticed something, like the cries of your units when they are near death, or the generated power up that you’ve failed to pick up. Basically, where it matters for gameplay the audio is excellent. Big mean robots are doing bad things to people. As before, the story of this game is largely about they mystery of the Anomaly, but this time there is a fair amount more to go on. It is years after the last game. Your defeat of the alien menace was short lived. More attacks followed, and now thanks to the effects of the newest Anomaly (which covers a third of the planet), the world has an average temperature of below zero. What remains of humanity moves in convoys, destroying what towers they can and attempting to scrape together a last ditch effort to take back the planet. This effort focuses on something called “Project Shockwave”, which you’ll spend most of the game gathering research for. There are some twists and turns, but overall the story and dialogue are fairly generic action movie stuff, with tough guy soldiers saying tough guy things, while scientists hem and haw about what should be done about the alien machines. You won’t be playing the game for the story, but it was enough to drive the action. Anomaly 2 does exactly what a sequel should do. It takes the core elements that made the first game so much fun and built upon them. It is easily quadruple the game that its predecessor was, and certainly worth your time. 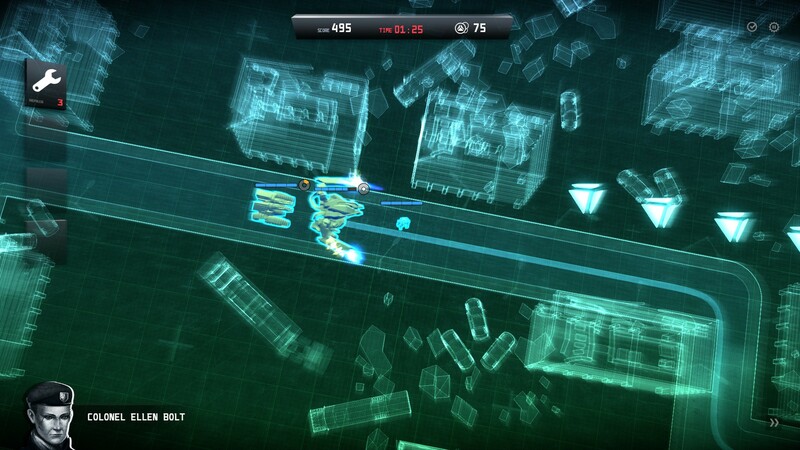 8.8 / 10: Anomaly 2 adds multiplayer and twice as much strategy to the already solid foundation laid by the first game.